Been toying with writing this ukulele post for a while now, and was unsure as I suspect it may raise some eyebrows or elicit a negative comment or two. The thing is though, the boom in popularity of the ukulele over the last few years has coincided with the boom in social media. As such, LOTS of people are talking about ukuleles online and it can be hard sometimes to cut through the noise. Within those discussions are a lot of very knowledgeable and helpful people, but equally I repeatedly see bad advice being given out to beginners, and that is a worry. I therefore thought I would share some of my views, (and they are just that, views). Feel free to take exception to them, but do read carefully! Here are ten of the common misconceptions I see floating around. I've blogged on this topic before and yet the debate online still rages on. Debate is good, opinions are good, but increasingly I am seeing people telling others that it is either definitely right or definitely wrong and that is just crazy. On a recent post I wrote about straps, I received an online message telling me I was an idiot and that 'I've got two hands, why do I need a strap'. One chap recently, and proudly stated online that 'you are not playing a ukulele properly if you use a strap'.... Seriously - this is quite common. I will drop in one exception - if you play banjolele in the Formby style, then I can see how a strap will totally go against the technique you are using. Fair play. But I am making this point regarding ukuleles in general. I am seeing this statement bandied about more and more. 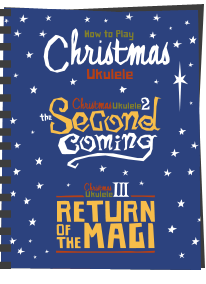 The suggestion is that the soprano is the beginner instrument, and once you have learned your chops you are allowed to move on to a 'better' ukulele which happens to be bigger. I've seen the same people recommending first time buyers should 'buy up a size from the start, as it you will only upgrade anyway'... I struggle with this logic. The soprano is not a beginner ukulele, it is THE traditional ukulele scale. If anything, the soprano is the daddy of the ukulele world. Some players I know prefer sopranos solely and have been playing for years. For me, my favourite sizes are sopranos and tenors. Both have their attractions for me. If you are a beginner and like a soprano, please don't feel that you MUST 'upgrade'.. Choose your instrument based on the tone you want, how comfortable you find it, and how it looks and speaks to you. No one size is 'the winner'. Please do read my article about the soprano and host of myths associated with that here. This statement is extremely common and is closely linked to point 2 above. Beginner X asks for help online saying he finds the fingerboard cramped on a soprano, and dozens say 'get a bigger uke'. A couple of points here. All fingerboards on ukes are pretty cramped. It's a ukulele! Second, whilst a bigger uke can help, it is not always going to be the case. The misconception that a concert is naturally easier because the fret spacing is wider is just plain wrong. The difference in scale is actually pretty small, and what is FAR more important to giving you comfort on the neck are a range of things, namely; The scale, the neck width and the neck profile. Other factors can also come in to play that are a little more subtle too, such as the size of the frets, string choice and action, but generally it's the first three. What tends to happen here is people struggle with cheap sopranos and then buy concerts and tenors and think 'oh, this is easier'. But it's almost always easier because the nut has naturally become wider. And THAT is where you feel relief - across the neck. And here's the thing. You CAN get sopranos with necks just as wide as tenors! So it's not the scale increase that is giving you the space, it's the nut width! I have owned soprano ukes that have wider nut widths than concerts, as much as most tenors and as such have more space on the fretboard. The Bruko 6, the Flea and the Koaloha all fit this category and have far more space than narrow neck concerts. Most Kiwaya ukuleles do regardless of scale. The only real answer is go to a store and try a few out. You may find that a concert is indeed easier for you if you are a beginner and that is great, but depending on the ukes you play, you equally may not. I also know accomplished players who find tenors difficult to hold and get their arms around, even with a strap. Please, please please - it is NOT the scale increase that is helping you! 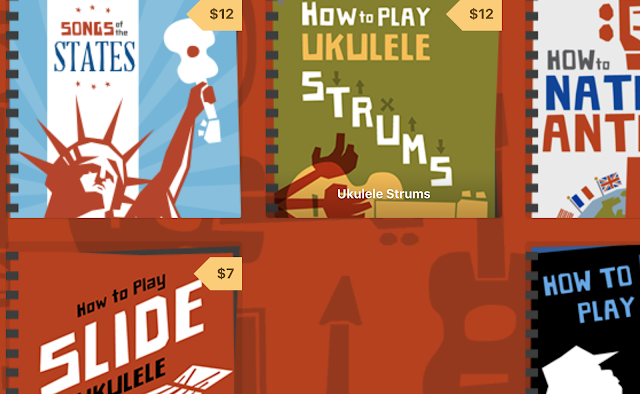 Quite simply, a pickup in a ukulele costs money. They are not thrown in for free. If you have £150 to spend on a ukulele, and get an electro acoustic for that price, you are NOT buying a £150 ukulele. The pickup has to have a price. Putting that in perspective, a half decent entry level piezo pickup, such as a Shadow under saddle, will cost you RRP about £50. Let's say that the cost price is half that (I am guessing), then if you want a £150 quality ukulele that has a pickup, perhaps you should extend your budget to £175? The real issue here comes at the absolute entry level price point, where people pick up an electro for about £75. This means that either the ukulele or the pickup is woeful in quality (usually both). I've inspected the pickup strips on some of these ultra cheap electro ukes, and they really are poor quality, and often badly fitted. That means a muddy, electric sound, and often volume differences between the strings. Prime example. And back to prices, you can pick those Peanuts up for only a little more than the cost of a shadow piezo pickup. Corners are cut somewhere! Plugging in a uke is a lot of fun, and essential for our band, but I am afraid it will cost you more, not the same amount. Choose wisely! 5. The Ukulele Orchestra Of Great Britain use music stands, so should we! OK, I 'ummed and ahhed' about whether to post this one, as it's most likely to get me flamed. But the UOGB have an act (a very good one). They sit down, wear bow ties, tails and evening gowns, they read from music stands..... Because of the word 'orchestra' in their name. They are aiming to look like a full blown orchestra. Behind that though are some of the most talented performers you will meet. Do you think they really need sheets to tell them the next chord is a G7? They are props in the main. So, why am I making that point? Well because I suspect that because of their act, ukulele clubs up and down the country use music stands in the same way. Now, time to dig myself somewhat out of the hole I appear to be digging... I am not against music stands at all. Our band use them for practice all the time. They are absolutely essential for large clubs to ensure everyone is on the same page, particularly for beginners. But if you go out as a club to perform a real 'gig', particularly one where you may be getting paid, I just think it looks all wrong if you are staring at them, and to some extent is taking liberties with your venue. Go out to your local live music venues and watch a few bands. How many stand stock still behind music stands? Very few. Would you be impressed if you went to see your favourite musical artist and he or she stood behind a music stand, head down, reading? Please don't get me wrong, performing a show takes a lot of work, and that means a lot of words and progressions to learn. It takes time and effort. And heck, crib sheets on music stands are absolutely fine - but why not place them where they are not directly in front of your face? Engage with your audience. My band used them all the time, but kept them hidden or subtle and out of the way! Lot's of the worlds biggest professional acts do this. Some players stick reminders on the back of their instruments too! The point being, you are not hiding behind a music stand, and playing to your audience whilst looking down as opposed to looking at them! In live performance I just think they kill interaction and look unprofessional. And I am not knocking clubs here - as I say, stands and sheets are essential for those with huge songbooks and many beginner players. But try to encourage people to step away from them as they progress and play from memory or use them as subtle prompts only learning to play glancing at them rather than with their noses buried in a folder of sheets. Oh, and if you do play full on classical music, then of course, a music stand is entirely appropriate, as it would be if you were playing violin at the Royal Albert Hall. 6. Ukulele X is cheaper on Amazon, buy it there! Ah, Amazon... Strange of me to knock them considering I sell my books through them, but to me, that is what they are at heart - a bookseller. I see countless examples of people recommending beginners get their first uke from Amazon, usually because it means you save a dollar or two on the price compared to a music shop. With ultra cheap ukes though, whilst you can find a good one slip through, you really want them to be checked over by a musician or tech who can ensure that things like intonation and action are acceptable. Amazon will NOT do that. What you will get is a box straight from the factory in China that has probably not even been opened. I have seen people on line asking for help, having bought a £30 uke on Amazon which is unplayable. They then either spend another £25 on a tech giving it a setup, or they buy another uke. Suddenly their basic outlay has jumped up dramatically. Do yourself a favour if you are buying your first instrument, go and support your local music shop! And yes, someone will point out I do have links to Amazon products on this very site. I am not saying you shouldn't buy from Amazon - anyone who is confident in adjusting action and changing strings themselves will likely be fine with them. This advice is really aimed at the first time buyer. 7. Koa is the holy grail.. This one may ruffle a few feathers too, but seriously, Koa wood, as pretty as it is to look at, is not some sort of holy grail in ukulele construction beyond which nothing can be bettered. Koa does make (in my opinion) a very nice sounding ukulele. It's also the traditional wood used in Hawaii, so I appreciate it has some real heritage. But, that is only my opinion. Wood choice is totally personal, and it is in no way wrong to play a uke made of mahogany, cedar, spruce or whatever. Nor is it any way sub standard to a koa uke. It is just different. Vintage Martin sopranos tended to be made of mahogany, and some of those can fetch huge prices. Play a few ukes, and choose a wood type based on what your ear tells you, not based on what Facebook told you about Koa. Take a cheap laminate ukulele, add Aquila brand strings and have a strum. Big noise! But if I strapped Aquila strings over a biscuit tin I would get a big noise. I know many players who moved on from their first laminate uke to a solid wood instrument and then complained that it was too quiet. 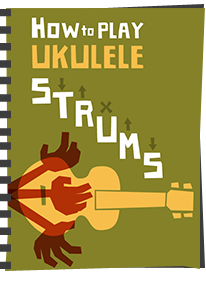 What you are gaining moving to more serious instruments is an increase in tone, sustain, harmonics and just ukulele loveliness that you just don't get on an entry level laminate uke. Your ears will adjust, and as you progress as a player you will learn to spot these nuances and never turn back. 9. These strings are THE BEST! Another extremely common piece of 'advice' you will see online is the string recommendation. Of course it is always great to hear other peoples views on strings (and I have reviewed several brands on this very site), but always bear in mind the phrase, 'your mileage may vary'! String choices are a very personal thing. How they perform on an instrument will depend on a variety of factors; the instrument itself (and even two identical models can perform differently), your own playing style, and perhaps most importantly, your own ears. Nobody else can tell you what a particular string brand will sound like to YOU. Only you can decide that. I use a variety of strings, and that is because on each uke I own, I have tested several brands. Eventually I will settle on the strings that suit that particular instrument when using my own ears. You might not agree with my choices and that is just fine. All that matters is that you like the strings you choose yourself. And as a final point. No set of strings will make you a better player. 10. The Ukulele is easy to play! Ah the big one! Perhaps the most commonly used statement trotted out, usually by local newspapers to start a piece on a local event, club or whatever. The ukulele is not 'easy'. No musical instrument is easy to play (well, perhaps the tambourine...). Learning any instrument takes time, dedication and practice. What the ukulele does have though is a shallower learning curve in the early stages of learning than many other instruments. That means an absolute beginner can get going in a relatively short space of time and get a two or three chord song basically right. That is a huge plus point for the instrument, as it allows clubs to be inclusive and encourages new players to keep going. But easy is not the right word. 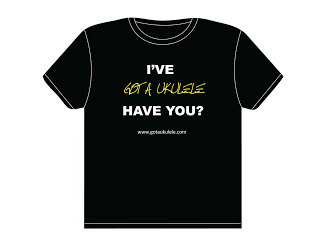 If you want to master the ukulele, you may need to spend a lifetime, like most things in life! 11. You MUST go for solid wood! Solid wood instruments use solid pieces of tone wood in the body construction as opposed to laminate ukes which use thin sandwiches of wood to create the same thing. Generally speaking, solid wood is more expensive and that has led to the misconception that it therefore must be 'better'. It's actually more expensive because it takes more work to get it right without the ukulele splitting or collapsing, but 'better'? Not necessarily. Sure, at the higher end, you really want to be looking at solid wood, but at the lower and intermediate level price points you will see a lot more laminate. That doesn't mean they are 'worse' though, and in fact there are some stellar laminate made ukuleles out there from brands like Kiwaya. My summary is that I would take a well made laminate ukulele over a poorly made solid wood uke every day of the week. And that matters because in this drive to get the ukulele as cheap as possible a lot of brands are putting out impossibly low priced solid wood instruments because they know the market is telling buyer they are better. But in reality they are poorly finished, poorly seasoned, poorly built and often overly thick and heavy. This is a huge topic and you will find more on the subject here - https://www.gotaukulele.com/2015/03/theres-good-and-bad-ukuleles-whether.html I really would urge you to read this one if you have someone in your ear telling you that solid wood is better. 12. If you are left handed you MUST play this way! Ah yes, the scourge of the right handed player telling the left handed beginner that they know what is best. No they don't. They are not left handed and they don't know whats best. Even if that advisor is left handed themself, they don't know what is best for another player - they only know what is best for THEM. The truth is there are lots of established ways that left handed players have approached playing stringed instruments like guitars and ukuleles - and they are ALL right depending on the person. The correct approach is to try a variety of methods and go with the one that works best for you. It's not wrong if it works for you and you should not put up with anyone else telling you what is best. Only you can know that. 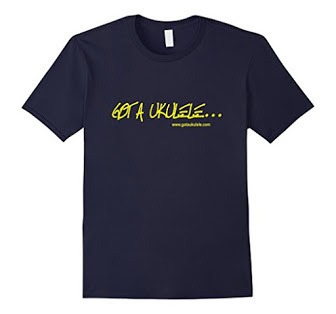 Take a look at the options for left handed ukulele players here. So, there you go. If you are a beginner just starting out do be careful with what advice you take on board. Social media creates a lot of noise, but not all of it helpful. Be wise though and you will have many years of fun with this little instrument! Agree with every word of that Barry! Yes, I'd agree with every word too Baz. It annoys me a little when people say the "uke is easy", and the way you describe learning the uke is spot on. The great thing about it, is that starters can make a pretty good noise pretty quickly, which of course, encourages them stick at it. Re music stands, I've tended to think that if you need to refer to a song sheet while you're performing (pop, rock, folk music, in particular), then you probably don't know the songs well enough to be performing them. However, having played with a number of uke groups/clubs in recent times, I can see exactly why they rely on them. Many of the players are not only beginners, and find it very hard to commit songs to memory, but don't have the time to devote to learning songs 'off book' (can't stand that expression!). I try to encourage players in these groups to pick one song at a time and commit it to memory - you'll be surprised how much more fun you get from being free to 'perform', to look around at the audience and others players while playing, and how much more confident you'll feel! Without the songbooks though, many of these players would never be able to participate in club sessions or performances. This may be a terrible stereotype or an excuse, but many of the older members in uke groups have told me that they find it harder to memorise songs than the younger players. Getting people playing seems more important to me than anything else - players shouldn't feel 'inadequate' if they struggle to manage without a music stand. Very much agree re the stands Jez - essential for many people for many reasons. What bothers me is that I suspect some clubs may have some real hidden talents lurking, and they are perhaps being held back because 'this is the way we do it' - out they go with the music stands. And I have actually had the comment 'what's wrong with them, the UOGB use them' too! I'd just add one further item to Myth 3: "Larger Scale Ukes Are Easier To Play", and that is the increased string tension on a larger scale uke (if you keep it tuned the same as your soprano) should also be taken into account when considering playability. I think one reason a uke (a soprano at least) has such a shallow learning curve is that you need to put hardly any pressure on the strings to voice a chord successfully. That's not necessarily the same on a tenor. As to Myth 10, I've never heard anyone say "that Yehudi Menuhin is OK, but, you know..., there's only 4 strings on a violin."! Very well spoken Baz. 100% agreed. Re the UOGB - I'm saying that they are seriously talented musicians, and know the music anyway. They probably do have music on them, because they are there but its a prop that suits the orchestra angle. I've seen enough vids of them playing backstage etc to see that they can play their stuff, and some incredibly complex pieces, without them. Other top end performers such as Jake, James etc don't use them either. And there is a huge difference between uogb and what I referred to in the piece - not classical playing - I referred to 'gigs' - see no reason for clubs to turn up in pubs or beer festivals and play folsom prison or king of the swingers and use music stands. Not hard to commit few chords to memory surely? But in club meet use, yep totally agree they are important. Sorry, and probably should not just include classical pieces - any complex piece played from a score is perfectly understandable from a stand. But most clubs are playing pop and rock and roll and following three chord blues from a stand. Just a viewpoint - was actually intended to encourage players to memorise more as that way they start to understand the patterns and feel of a song more too? Awesome article, I agree with every point. I am a lifetime musician who grew up mainly in the classical world and only came to the uke in the last 3 years. I have a very difficult time committing music to memory, partly because that tradition hasn't required me to develop this skill (I've become sheet music dependant). I even have a hard time memorizing music I've written (ack!). I'd really like to get better at it though; an article on memorization tips might be a great one to tackle. I think a lot of people may abandon their soprano or trade it in on a larger scale too soon. I got my Rogue Soprano at a great price or else I probably would have started with a larger scale. Eight months later I still have problems with some chords/chord changes but not nearly as much as when I started. Giving it a good six months of regular daily playing really makes a difference. The first month I hit it hard practicing then got kinda frustrated and the second month not so much playing. Then I figured I was gonna have to do more practice. I actually really like the smaller size ukulele now. Regarding pickups, there is always the option of a "poor man's pickup"! LOL Now I certainly wouldn't do this to an expensive ukulele but with my Rogue I went to Radio Shack and bought a piezo two wire element and a 1/4" mono jack and mounted the piezo with two sided tape beneath the bridge. No is is not a real pickup for sure but it records well and when mixed and mastered sounds pretty good, also works well through my digital processor and guitar amp. A nice toy for under $10 usd. I have also used the pizeo's in drum boxes and cigar box diddleybows that I make and they work great with those. There's a lot of truth in your words. ad 2: I play my bari often, so I'm a winner. ad 3: I have very big hands, but still play my Ovation soprano ( great neck ). But I can imagine for some people the bigger scales are easier to start with. ad 7: The sound depends much more on your technique and your fingers than the wood. And nobody cares that there might be no Koa wood in the future if everyone plays Koa ukes. ( Worth, Martin ). Now you have your big noise. I don't like Aquilas at all. If you like it loud and have short finger nails you might think of using a Pick ( Techra 1,oo Carbon is my favorite ). ad 10: Truly one of the biggest myths. As a bass player I'm always told that playing bass is easy. I always tell them, "No, learning to play bass is easy. Playing bass is hard." I feel the same thing applies to the uke. Great blog, agree with all items, but a question re point #5. We are a very young club, just started a few months ago, and already people are asking us to perform (for free) at retirement homes, nursing homes, the library board meeting, etc. What do you think about using music stands when providing a free performance? Re #5 - it's just my view. Can fully understand clubs, particularly beginners using them at events in retirement homes etc. it is indeed about context as earlier commenter said. For me, where I think they look strange is in pubs clubs and theatres where a more substantial fee is being paid. In other words at venues that regularly have live music as part of their entertainment. Such venues will have a ton of bands, and very few will likely play from music sheets. Then along comes a uke club and does so. Think it cheapens that sort of performance and If I was a landlord i would raise an eyebrow. Hi, thanks for a very enlightening blog. I have only had my uke for a month, but am having great fun playing it and learning chords and tunes. The one point you missed out are your views on the difference between the guitar style uke and the banjo type. I actually went for the banjo type. Do you or any other readers have a preference. The 'easy ukulele' used to be in the Guinness Book of Records for some years (or decades) and always puzzled me. For starters, stringed instrument require tuning before being playable, some precise left hand finger placement, a loose enough right hand approach (or you'll hook into the strings) and can cause some cramps in the hands of a beginner. A melodica is easier to get a sound out for the completely uninitiated. I am a new uke player (following years as a casual guitar player) and get frustrated when people presume it's "easy" to play. What I tell them is, "Well, it's simple to learn to play it simply." Which, as this post states, is part of its appeal. And then I show them a Jake Shimabukuro video! Mathematician here: "What the ukulele does have though is a shallower learning curve in the early stages of learning than many other instruments. That means an absolute beginner can get going in a relatively short space of time and get a two or three chord song basically right." That's false. A shallow learning curve means it takes a LONG time to start improving. A steep learning curve means an absolute beginner can get going in a relatively short space of time. Picture a graph, where the x axis is time and the y axis is Knowledge. A steep learning curve means as you go from left to right, your knowledge goes up quickly. Glad we sorted that out..
Great piece Barry. I would advise anyone new thinking about uke to go find a local uke group. Visit them before you buy. Contact them before you visit and ask if you can borrow a uke for the session. I really enjoyed that - in particular your mention of the 'these strings are best' debate. I like Aquila more than you I think, in conjunction with a low G in particular. On some ukes, Worth Clears sound amazing in comparison to Aquila (Corinne's 8 string). On others (like the Aria ACU-250), Worth and Aquila in my opinion they add very little over the GHS that are come as standard - only Savarez really suits it to my ear (a choice I've imposed by fitting them as standard on ours!). But, if you said the exact opposite to what I've just said - we'd both be right, for us! That's it really Matt - and it's fun to experiment with strings I think. 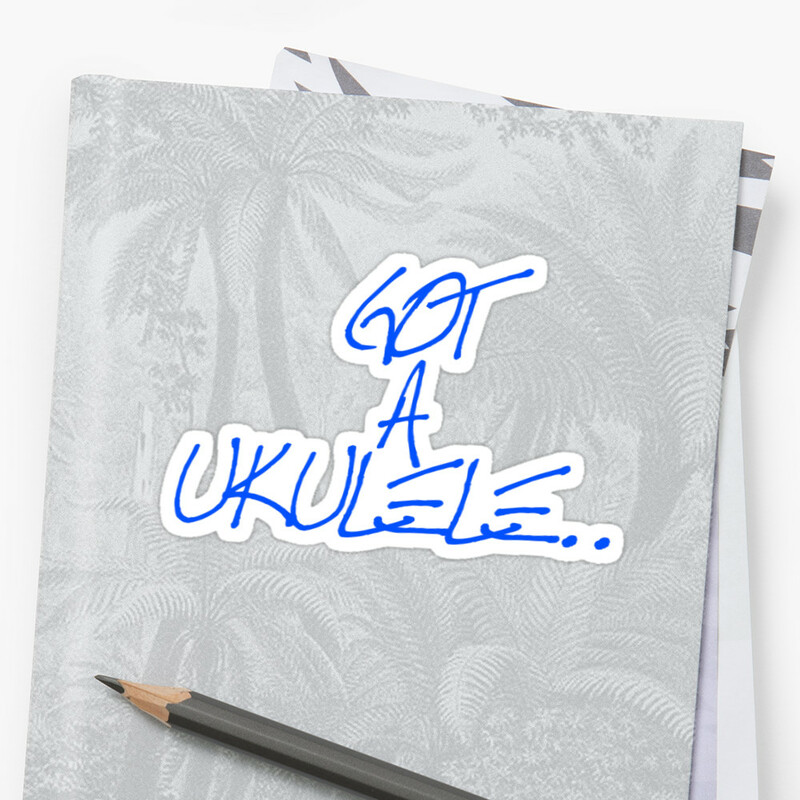 I do have a brand that I probably use more than others, but not on every uke. I can't explain it - I love them on a lot of instruments, but on a couple I own they just don't seem to work for me. Another myth, uke's are great for kids, making them seem like toy instruments. This damages their reputation as a serious instrument. Theyre not easier to play than a guitar, in fact first time I picked up I was knocked back by the odd tuning and the fact that the bottom string is higher pitched than the two middle strings! Weird. Ukulele & harmonica are easy.......yeah right! It's always the people that don't play instruments that come out with these sayings. @Anonymouse - quite agree- take a look at the poll that is running in the left hand panel of this site - the results so far are quite illuminating. Particularly as when I talk about this myth that people always pop out of the woodwork to tell me I am completely wrong - so far 98% of 6,500 people would disagree! Nicely done article! I am a multi-instrumentalist that has just purchased my first ukulele, a Gretsch tenor with a Fishman pickup. It's a China-made instrument, and yes, corners were cut. Gretsch is owned by Fender, so when I received my instrument (that I bought online) and there was an issue with the ends of the frets sticking out and turning my forefinger into ground meat when I was sliding barre chords, I called Fender and they covered the repair as a manufacturer's defect. Problem solved. Not very fancy, but enjoyable! 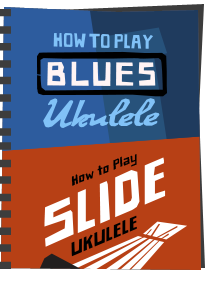 I'd like to add that if you are a musician that delves into ukulele, you will most likely find it to be an easy transition. I bought mine because I have a pinched nerve in my neck that effects how long I can play guitar before pain sets in and makes it impossible for me to practice guitar AT ALL. Although the tuning is different, the adjustment to playing ukulele has been a wonderful experience. I've begun picking out Jazz standards that I've found very difficult when it comes to some of the chord shapes on guitar, and I've found many great examples on YouTube to use as inspiration in finding my own voice on ukulele. I'm just doing research on ukuleles before I decide to pick one up. I think I will end up getting one online (most likely through Mim's) since the only music store in my immediate area is really big on guitars and, to a lesser extent, drums, and only seems to dabble in other instruments. I am familiar with the "toy instrument" issue since I have been playing the ocarina for a little over a year. The ocarina also has somewhat of a reputation for a shallow learning curve at first (though there are some stumbling blocks). I've never done enough with another instrument for me to feel comfortable even claiming that I "play" it. Incidentally, in reply to revdj's comment above (though he will probably never see this). @revdj: You are arbitrarily proceeding with the assumption that you are graphing time horizontally and progress vertically. I've never seen anyone use "steep learning curve" that way. All you have to do is swap the axes of your graph, and the normal understanding of "steep learning curve" suddenly applies. Usually, though, people would say that effort or knowledge rather than time was the vertical axis with progress as the horizontal axis. This is a natural way to think of it as it corresponds with walking up a gradual incline or a steep hill/mountain (vertical: effort, horizontal: distance). People associate "steep" with requiring extra effort. The choir I sing with, we perform whilst singing from memory because singing from music on a stand is a skill in itself. It's difficult to do without looking at the floor which doesn't give a good performance. About left handed players. The lead singer in my band is a lefty and for us it works out great on stage because our uke's point in different directions we can get close and not worry about uke's knocking. Re music stands. Unless you have some kind of mental health issue which affects your memory, if you can't learn a few songs by of IMHO you shouldn't be playing in public. Ukulele groups doing this are probably the main reason that the instrument isn't taken seriously.